Born in 1887, Victor Baron Barnett spent his formative teenage years in Blomfield Road, W9, where the large and gracious family home faced onto the Little Venice basin, the canal no doubt bustling with longboats, just as it does to this day. His parents Baron David and Kate were both central-London born and had married in 1874, after which his father appears to have gone on to have built a very successful career as a Parliamentary Secretary and Registration Agent. Victor was the couple’s second son; their eldest child, David, (who also carried the family name ‘Baron’) was 11 years senior to Victor and was a very early entrant, it appears, into the emerging world of the moving picture. He gave his career as ‘Cinematic Producer’ in the Census of 1911, and by 1914 had founded his own business, Barnett Cinematograph Co. Ltd, in Archer Street, Westminster. The family artistic streak did not stop there…Victor’s four elder sisters were equally involved in the world of performing arts, it appears, with both Harriet and Elise in acting careers, plus Ray Maud and Madeleine active in ladies’ costume sales and as a ‘danseuse’ respectively. 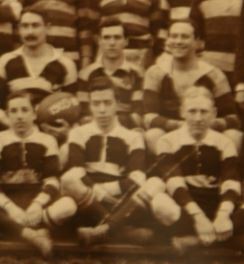 Given the career choices of his elder siblings, it is therefore something of a surprise to find that Victor emerges during his teenage years as a rugby-playing stockbroker! The UK had experienced a major surge in Jewish immigration from the Russian Empire following the assassination of Tsar Nicholas II in 1881. Between the 1880s and 1914, it is estimated that 120,000-150,000 Jews from this region emigrated to the UK, with approximately 70% of them settling in London. Here, they started to assimilate with a largely middle- and upper-class Jewish community of approximately 46,000 – but this process was not without its social challenges. The established Jewish community was already moving towards a broad acceptance of the pervading educational values that were shaping the British Empire and were instrumental in encouraging the ‘Anglicisation’ of the new arrivals. 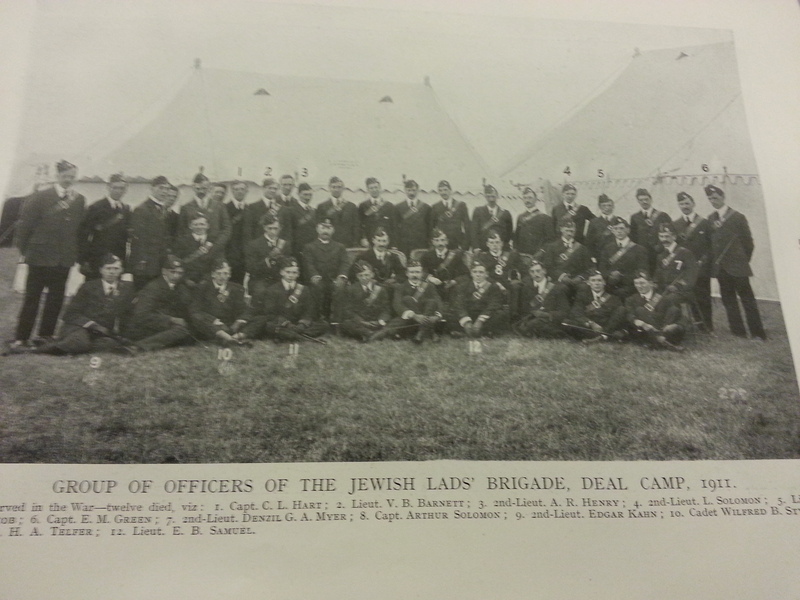 Despite objections from some of the more orthodox members of the community, the demand for this more integrated approach led to the formation in February 1895 of the Jewish Lads Brigade, whose clearly stated goal was ‘to improve both the moral and physical health of Anglo-Jewish youth‘. 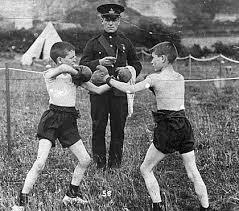 Under the leadership of Colonel Albert Goldsmid, a career soldier in the British Army, the JLB was quickly to adopt the tried-and-tested Public School formula of sports and games, combined with military-style drill, marching and gymnastics, to achieve the community’s goals. The Jewish Lads Brigade held its first meeting in the Jews’ Free School hall in Spitalfields in 1895 – the very district in which Victor’s mother, Kate,had been born. It is not clear at what point Victor joined the JLB, but a picture survives of him in his military uniform attending the annual Summer Camp at Deal in Kent in 1911, looking every part an established & experienced leader. The membership of the JLB had risen to more than 4,000 by this time, and the summer camp was attended each year by more than 500 boys. The 30+ companies of the JLB had already drawn formal recognition from the British military hierarchy; 17 members had served with honour in the Boer War, and the summer camp had been visited and the efforts of the boys praised by senior officers such as Lieut-Gen Sir Charles Warren.